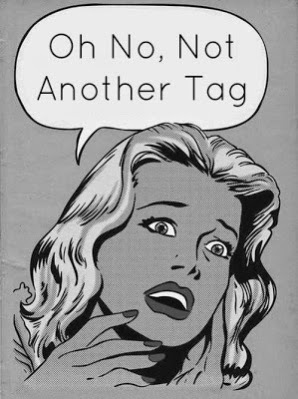 Since I am pretty new to the whole beauty blogging thing, I have only been tagged in 1 other tag. This tag was made by Haley from Tea Party Beauty. - Once you’ve answered all the questions you need to tag 5 people. - Also if you tweet Hayley (@teapartybeauty) the link to your post, she will RT. - If you’re tagged and don’t do the post you will have bad luck for 68.5 years. FACT. You’ve made it BIG & bagged some VIP Fashion Week tickets. You lucky devil you. But in your rush to get there & get yourself noticed you forgot your VIP Passes. The guy on the door says he will cut you a deal, you can go in only if you sacrifice either your Front Row seat, backstage privileges or goody bag. What’s it gonna be? I know i should probably say the Front Row seats but i would be lying. I would so prefer the goody bag! Free stuff is the best kind of stuff. You’re making a new subscription box what 4 items & which dreaded perfume sample would you include in it? I would put Kat Von D's Tattoo Eyeliner, Becca Foundation, Benefit's Gimmie Brow and a Kate Moss Rimmel lipstick in the shade 101. As for the perfume sample, i would put Vanilla Bean Noel by Bath and Bodyworks! That stuff it amazing. What is your biggest blogging bug bear? The one thing guaranteed to make your blood boil & have you screaming/eye rolling at your laptop? I don't know if this bothers other people, but if someone writes a review and doesn't show any pictures of the product! It is so annoying especially if they rave about the product and they don't even show you what it looks like. No more joining in on Twitter chats only slightly relevant to your blog. You can only join in one blogger chat a week for the rest of your blogging days, which one’s it gonna be & why? Im really bad when it comes to the Twitter chats. I have only been in a few so I'm going to have to go with the #bbloggers chat because i am a #bblogger. ‘Fess up, do you actually own any MAC? If so what don’t you like about the product? YES! Mac is my favorite lipstick brand but I am not the biggest fan of their other products. Their eyeshadow is good but their liquid eyeliner pen is TERRIBLE and so watery! The bloggings Gods ban arm swatching, which body part will you swatch on now? This one is hard! I would probably go with my leg I guess… I just would have to remember to shave before every swatch! You can no longer have Yankee Candles & Perfume Bottles in the background of your shots, what other inanimate object will you choose? I don't actually do this one, so I would stick to what i usually do. I would use a nice fabric or my floral bedsheets. Your blog’s Instagram, is it for cats or meal shots?